The laws indicate that you have the right to legal counsel to secure and protect your rights when someone has caused you harm or damaged your property. Having an injury lawyer on your side tells the insurance company, business, or individual plaintiff that you are serious about your claim. Additionally, you will enjoy peace of mind in knowing that your personal rights will be protected. Contact Salt Lake City personal injury attorney Lynn Harris today if you have been involved in an accident. If you have been involved in an auto accident, you should not trust the advice of an insurance company if they say that you do not need a lawyer. The person giving you that advice is most likely not a lawyer and may even be breaking the law by attempting to practice law without a license. It is unfortunate, but we have seen many instances in which an adjuster for the at-fault insurance company convinces a claimant that they do not need a lawyer. Much later, after the claimant discovers that their claim cannot be resolved, they contact us for legal help. Usually, it is too late to help that claimant. An attorney can best help you when you seek legal guidance immediately after the accident. At Lynn Harris Law, we want to keep our clients and the public informed. By providing answers to legal questions, we hope our clients will be better equipped to face their own legal battles. To speak with Salt Lake City car accident attorney Lynn Harris, contact us today. A member of our team will work with you to schedule a free case review and answer as many of your specific questions as possible. 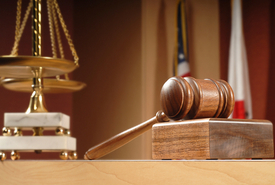 Our law firm won’t rest until you have received the justice you deserve.